For fans of falling water, California’s state parks offer a variety of intriguing waterfalls in all shapes and sizes. The Trailmaster’s list of “Top Ten Waterfalls California State Parks” is more like a “Ten Falls to Get You Started” list; I have many more favorites, small and large. And the state parks system offers two more showstopper waterfalls: in Julia Pfeiffer Burns State Park, magnificent McWay Fall tumbles from the Big Sur bluffs into the Pacific, and in Big Basin Redwoods State Park, lovely Berry Creek Falls dances in the forest primeval. Other waterfalls in California State Parks exhibit a more subtle beauty. With waterfalls, as in art, beauty is very much in the eye of the beholder. Falls tend to be as diverse as the parks themselves. Some thunder along all year, while others are very much seasonal affairs. Generally speaking, this year Northern California got rain and Southern California did not. Plan accordingly. Here are ten of my favorite falls and how to go with the flow. Waterfalls near the coast are a rarity, so the presence of three of them in close proximity to the California Coastal Trail is a special treat indeed. Gold Dust Falls, a long, slender tumbler, spills some 80 feet to the forest floor. An unnamed waterfall is located just south of Gold Dust; another is located just north. Access: An easy 2-mile round trip hike from Fern Canyon to Gold Dust Falls. Not surprisingly, the falls was considered a “power spot” by the native people who lived in the region. Park visitors can feel the power by watching the 200 million gallons of water that tumble into Burney Creek Gorge. While many waterfalls exceed Burney Falls in height, few can match its grandeur—twin, thundering 129-foot falls, accompanied by numerous plumes of water. This state park is in volcano country, characterized by lava rock and huge subterranean rivers and reservoirs. 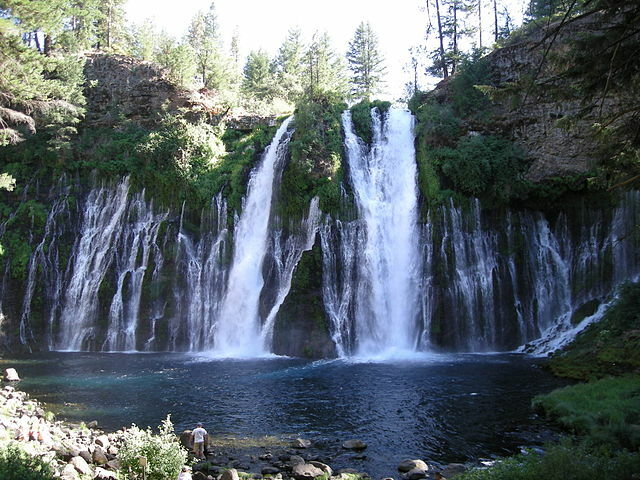 One of these underground aquifers feeds Burney Creek—and in turn, Burney Falls. The fall flows at nearly full throttle all year even though, a half mile above the falls, Burney Creek is often absolutely dry. Access: A short walk, peer over the railing and there it is. Admire the falls from different perspectives by hiking a mile or two on both sides of Burney Creek. 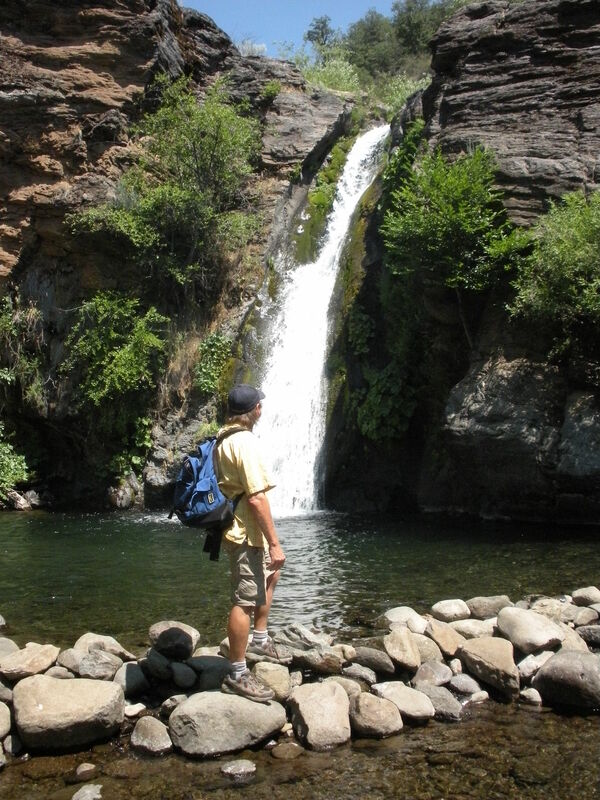 South Yuba Independence Trail offers wheelchair access and delightful passage for adventurers of all abilities to the charms of California’s Gold Country and some lovely waterfalls. Volunteers transformed a Gold Rush-era water ditch and wooden flumes into a whole access trail along the Yuba River. 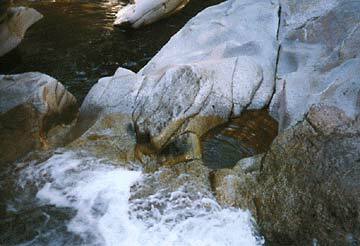 Many-tiered Rush Creek Falls tumbles over polished granite. You can admire the spectacle from a gravity-defying flume above the tallest drop—about 50 feet. Access: A pleasant, mile-long path crosses ravines by way of several wooden flumes to an elaborate wooden ramp that circles down to the edge of Rush Creek above the main fall. Most visitors come to this out-of-the-way park to soak in the hot springs. Still, a jaunt on one of the park’s inspiring footpaths and a visit to the vigorous, 50-foot tall waterfall on Hot Springs Creek, adds to the pleasure of a park known for its soothing pools. Access: An easy 3-mile round trip hike from the park campground along Hot Springs Creek meanders amidst giant sugar pines to the waterfall. Framed by five-fingered ferns, Berry Creek Falls is a real looker, the kind of waterfall that graces magazine covers. A walk through the redwoods in California’s first state park is one to remember, as is the 70-foot waterfall, which hurtles over a sheer cliff into a large pool. Access: Figure a 12-mile round trip hike from Highway 1 to reach the waterfall, as well as 60-foot Silver Falls and Golden Falls, which spills over a reddish-gold cliff. 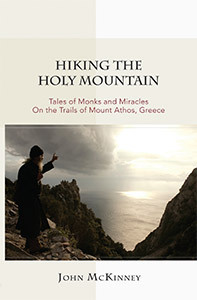 It’s about the same distance to reach the falls from park headquarters via Skyline to the Sea Trail. This park is quintessential Big Sur—redwoods and the Big Sur River, great camping and hiking. A lovely path leads under stately redwoods. Then you ascend a stairway to an observation platform at the base of the falls. Pfeiffer-Redwood Creek cascades over a 40-foot precipice to a small grotto. Access: An easy, family friendly 2-mile round trip hike leads from Big Sur Lodge to Pfeiffer Falls. A redwood grove, dramatic Big Sur coastal vistas, and the only major California waterfall to cascade into the Pacific are some of this park’s attractions. From a well-designed overlook, you can observe slender but dramatic McWay Falls tumbling a hundred feet from the granite cliffs into McWay Cove. Access: A 0.25-mile long, wheelchair accessible trail passes through a pedestrian tunnel under Highway 1 and leads to the overlook above McWay Falls. La Jolla Valley welcomes visitors with a native grassland, drifts of oak, a peaceful pond and, in spring, wildflowers and a lovely waterfall. La Jolla Creek runs most of the year and so does the falls, a 15-foot high tumbler with a modest pool at its base; the waterfall is most sprightly in spring. Access: The waterfall is located a short mile up the trail at the second creek crossing from the park’s Ray Miller Trailhead. 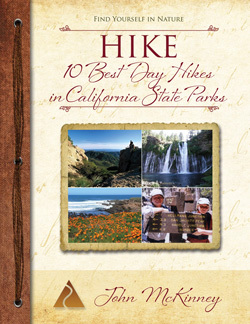 Ferns, falls, wildflowers and dramatic sandstone cliffs are some of the delights of a ramble through Santa Ynez Canyon. The route passes through a narrow sandstone canyon past mini-falls to the lovely 15-foot fall. Access: From the park’s Palisades Highland trailhead, it’s a 2.4-mile round trip walk to the falls. Borrego Palm Canyon is the third-largest palm oasis in California, the first site sought for a desert state park back in the 1920s, and home to a lovely waterfall. A 15-foot waterfall cascades over huge boulders into a damp grotto surrounded by a palm oasis. Heavenly! Access: From the Borrego Palm Canyon Campground, a family-friendly, 3-mile round trip hike takes you along the park nature trail to the waterfall. Fern-lined Boy Scout Trail meanders three miles amidst 300-foot tall redwoods to a lovely, 35-foot high S-shaped cascade. 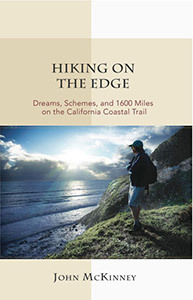 A six-mile loop trail through a lush coastal canyon and some wooden stair-steps lead up to a 30-foot waterfall that cascades into a handsome hollow. You can drive to 75-foot high Devil’s Fall, which divides into a half-dozen chutes and rushes below Yankee Jim’s Road. Swollen by winter rains, Sonoma Creek generates a handsome, 25-foot waterfall that cascades below the park campground. A 2-mile loop trail through hardwoods and redwoods visits this diminutive, fern-framed falls that fills a large and deep pool. A 0.75-mile trail leads to a substantial observation platform and a grand view of the falls, an impressive, one hundred-foot Kings Creek cascade. Four miles of hiking and a half-mile of wet and wild creekside scrambling bring the energetic hiker to a fern-filled world and a 40-foot waterfall. A half-mile of trail and some splashing up Limekiln Creek delivers you to this impressive falls, which cascades feet over limestone cliffs. From the Green Valley Falls picnic area, walk 0.25 mile along the Sweetwater River to a lovely series of low, but wide, cascades.